Held from February 23 to 25 in Milan, Italy, this year’s MIDO was once again an excellent opportunity for our Group to display its wide-ranging expertise. 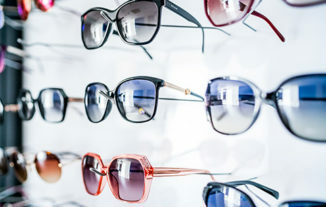 Entities represented included Essilor Italy, Sun Solutions, Satisloh, BBGR, Wanxin, FGXI, Bolon, Transitions, Special Lenses, Instruments, to name a few. 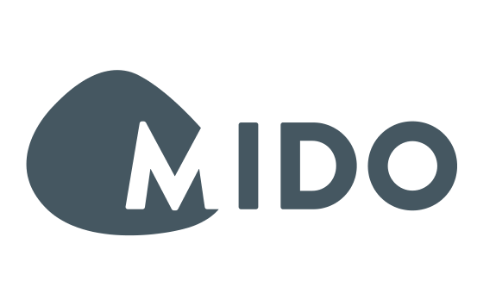 MIDO was particularly important for Transitions, the specialist in variable-tint lenses. It presented its plans for the Italian market to activate its new brand strategy to address younger wearers and increase its penetration rate in Italy. A FIAT 500, the country’s iconic car, was on the booth. 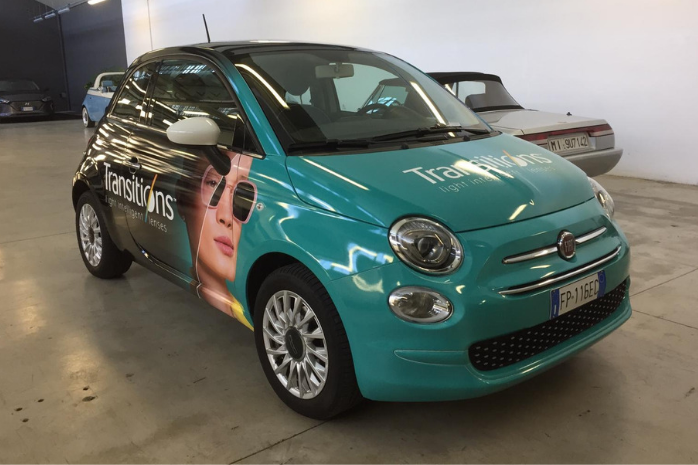 It will be used by the 5 new brand promoters in the country with the Transitions logo. Bolon Eyewear unveiled its spring/summer 2019 collection at MIDO, highlighting its Italian-designed sun and optical frames, crafted from top-quality materials that is not only fashionable but also offers lightness, resistance and comfort. Essilor® Sun Solution™, revealed its E-Sun™ Kolor Up™ lenses. With their built-in color equalizer, these lenses reduce the intensity of light without taking away colors, providing the wearer with visual comfort and glare reduction. This makes them ideal for sports such as skiing, and they are now available for ski goggles. MIDO visitors had also the possibility of experiencing colors in sport to get a real sense of benefits of theses lenses thanks to a Kolor Up™ sensorial cabin at Essilor® Sun Solution™’s booth. 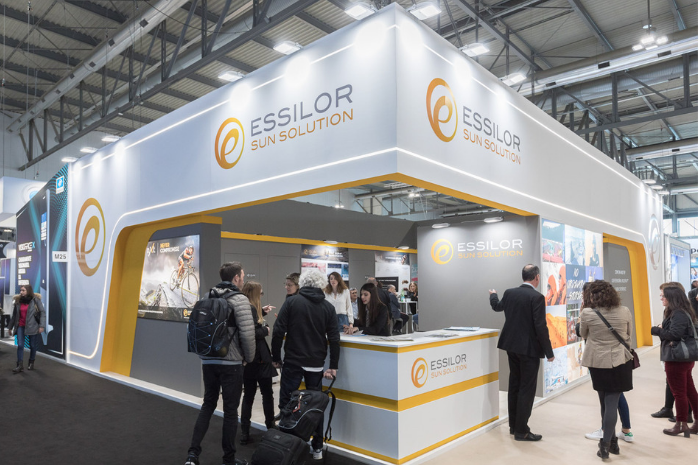 The customer journey approach was the main focus for 2019 Essilor Instruments’ stand with the Vision-R™800 breakthrough phoropter and Visioffice® X. With Vision-R™800, eye care professionals have the opportunity to enter a new era of refraction. Vision-R™800 phoropter offers continuous power changes and makes refraction more precise, easier to perform for the practitioner and more comfortable for the patient. With Visioffice® X, Activisu® goes one step further in optical measurement solutions by putting the ECP and their clients at the heart of the measurements process for a truly differentiating and memorable experience. A series of other differentiating solutions were also presented such as Visiosmart 500, Retina 800, and Mr Blue Infinite Vision. 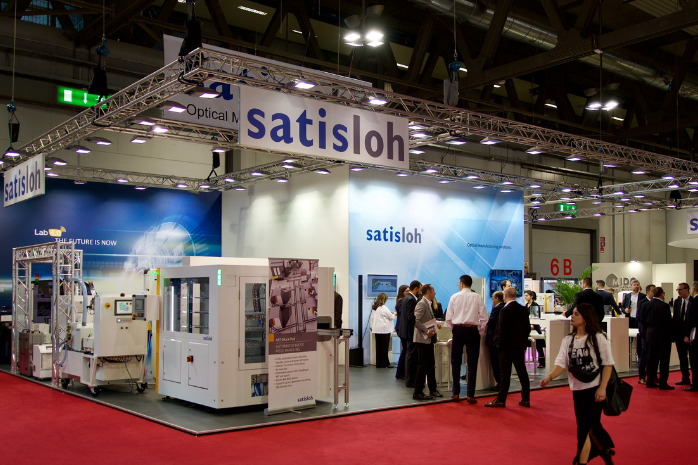 As a specialist in high-tech solutions for the ophthalmic and the precision optics industry, Satisloh presented solutions for laboratories of all sizes. These included: Metro Lab, a fast, expandable and economical lens manufacturing platform; Lab 4.0 Solutions, offering a fully industrialized lens manufacturing facility; and MES-360 Software, which enables labs to leverage their data to improve efficiency and productivity. 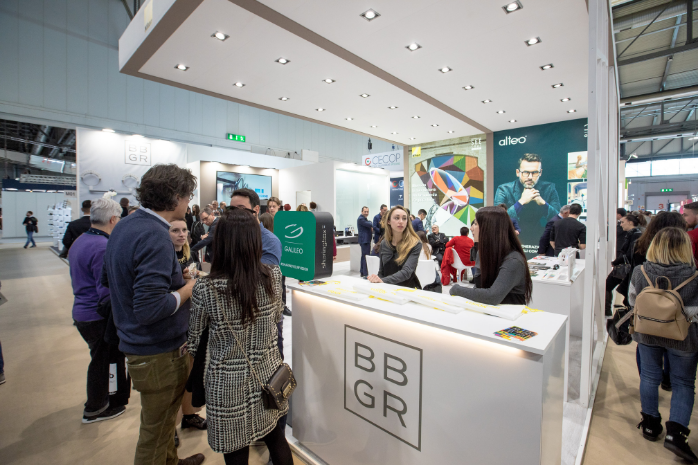 BBGR, was represented by BBGR Italia, formed from the merger of Oftalmica Galileo Italia SpA with Nikon Lenswear Italia. 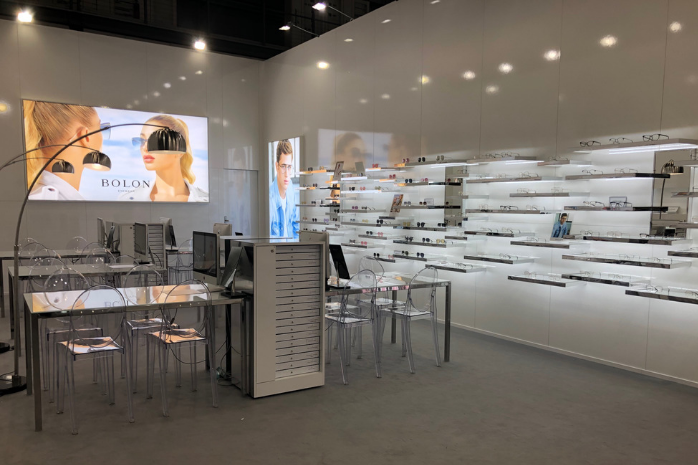 Visitors to its booth could find out more about SeeCoat Bright UV, a groundbreaking coating that balances out colors, and Alteo, BBGR’s new premium progressive lens. As one of China’s leading ophthalmic lens manufacturers, Wanxin had a strong presence at MIDO, presenting its thin and light Ultravex lens, which is blue-cut and provides high protection of UV420. Its booth also featured three new designs of the Rx lens: I-Nati3, offering progressive lens wearers wide distance vision for experience; I-Ezy3, providing new wearers with a smooth transition between near and far vision; and I-Drive, which, as its name suggests, is designed to protect driver’s vision on the roads. The main attraction at FGXI’s booth was the Reebok brand. The industry leader in the design of sunglasses, prescription frames and non-prescription eyewear presented its Reebok optical collection, with new styles featuring stainless steel frames and a nylon eye rim. The Reebok sunglasses collection features lightweight, comfortable styles designed fitness sports and the fit generation. 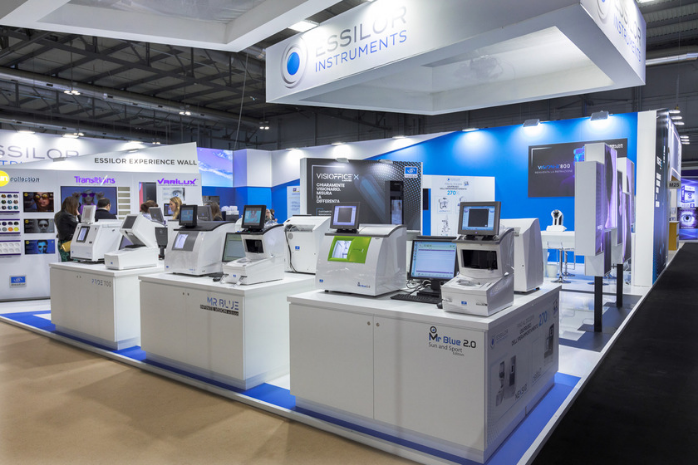 Essilor’s Special Lenses Lab (SL Lab) presented its instruments and technology designed to correct low vision, including MyEye distributed by Essilor, its selective photo-protective filters and the latest Lumior Xperio filters. It also showcased its main special lens’ world records and its screening instruments, such as the Visiosmart Opticien and Eyevitz. Sunglasses are an important component of Essilor’s solutions to correct, protect and prevent risks to people’s visual health. We revisit recent sunwear developments from the Group shown at the MIDO eyewear show. People have many different passions. 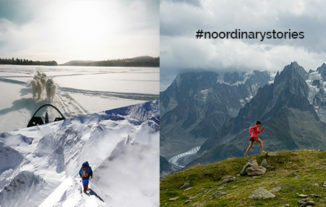 Find out about how Essilor® Sun Solution™, the Essilor Group division dedicated to non-prescription sun lenses, is helping people achieve their life’s dream and share their adventures across land, sea and snow.